Invest in our people by applying a Continuous Cycle of Improvement. When I think about employee engagement, I relate it to a culture that includes things like trust, purpose, empowerment, development and recognition. We will most likely spend half of our waking life at work. If you put in the right amount of effort, you can create an environment where you and your staff look forward to coming to work. If you want to know how to engage your employees, ask them. The challenge is what to do with all of those data points and verbatim comments to make a real impact on culture and engagement. Many companies conduct an annual employee engagement survey, sort through the results, and even develop action plans. However, it can be easy to lose sight of that action plan in the daily hustle and bustle of a contact center when calls are holding. In the Best Western Contact Center, we have applied a Continuous Cycle of Improvement to unlock our engagement potential. This requires a consistent, committed and principled effort. The Continuous Cycle of Improvement is a iterative process. As you work your action plan, celebrate your successes along the way and advertise your accomplishments. Link your actions back to employee feedback to create a virtuous cycle of trust, feedback and action. Culture change and employee engagement is hard work, and you have to play the long game. Yes, there will be some short wins and incremental gains. If you commit to doing the right things for the right reasons, are consistent and transparent about the “why,” you’ll get the results that you are looking for. Half the battle is working the process—the Continuous Cycle of Improvement. It takes some planning and commitment. We conduct our annual employee engagement survey every year about the same time. By October, we have the results for each team. We informally conduct a mid-year survey based on the focus areas of our action plan as a temperature check to make sure that we’re heading in the right direction. An online suggestion box is handy for ad hoc employee feedback and we incorporate that as supporting detail. There are a number of specific statements that roll up under each dimension. Based on that high-level analysis, we will focus on two to three dimensions where we think we can make the most progress. We communicate the overall survey scores for each statement and dimension to the entire staff via a town hall meeting. Town halls are conducted quarterly, and we use the last town hall of the year to discuss the engagement survey results. We make sure that we are referencing the Continuous Cycle of Improvement. After we’ve gathered feedback from the survey and focus groups, our leadership team considers: What has our staff told us about the dimensions that we have identified? What suggestions do they have for our leadership team? We may have gotten some great ideas that can be implemented, or we may have to tweak them a bit. In any case, we then gather our “analyze and communicate” team to discuss what is doable and what will it take to implement any ideas or suggestions. We have to make sure that every team member is on the same page. Who owns what action and when? We write it out formally and publish it for the entire staff. We also make sure that the action plan is published before the end of the first quarter. The communication strategy and communication vehicles play important roles here. Once we have our action plan, we want to get it in front of our staff. The Best Western Contact Center has used a variety of different communication vehicles to achieve this. Email. We make sure to “Link and Label” in our email communication when we publish the action plan. This is a brief statement in the body of the email that conveys appreciation to the staff for their feedback and commitment to the Continuous Cycle of Improvement. Video Newsletter. We previously used an email-driven newsletter, but have since found that a video newsletter is more engaging. These are recorded monthly and are only 15 minutes in duration. They are quick department updates and we use them to celebrate any action plan wins or progress. I like to conduct one-to-one meetings and team meetings at least every two weeks. These can be as short as 10 minutes, but I have them committed to my calendar for at least 30 minutes. It’s always good to give a little time back in your day. Do not pass these up, as they are great opportunities to seek feedback and get updates on the progress of your action plan. These are not surveys, but a skip-level can provide great insights on what is working well, and continue to gather employee feedback, ideas and suggestions for improvement. These should be conducted at least once per year. I like to meet with all of our teams’ direct reports for about 30 minutes. It’s important to take notes. A one-to-one setting usually gets you more candid feedback. I prefer to conduct these toward the end of the year as I also like to get feedback about what each person’s manager does well or what they could improve upon. I incorporate that part into their year-end review. Over the past four years, the Best Western Contact Center has utilized the Continuous Cycle of Improvement and has gathered some great employee feedback. We have implemented a significant number of employee-driven suggestions over the years that focus on career development, policy and procedure changes, dress code, performance-based incentives, employee recognition and the workplace environment. The survey results have contributed to an outstanding 20% improvement in overall engagement. The largest gains have been around employee empowerment, which has increased by 37%. We also have seen huge gains in other key performance indicators: net revenue per call has increased by 23% and agent errors have decreased by 20%. In addition, the Best Western Contact Center is driving overall culture change. The Phoenix Business Journal has recognized Best Western as a Top 5 Employer for the past two years. Recently, AZ Central recognized Best Western as a Top 125 Employer in the state of Arizona. A simple tool like the Continuous Cycle of Improvement, applied diligently to your employee engagement survey results, is an investment in the critical drivers of your contact centers success—your people. 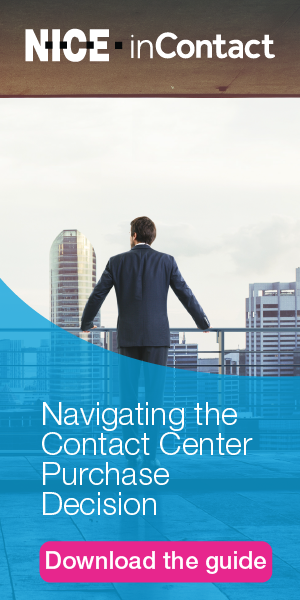 Culture extends beyond your mission and vision statement, it’s a living breathing thing and the Continuous Cycle of Improvement can unlock your contact center’s engagement potential.